We hope that this e-mail finds you all well and that your new year is off to a great start. We enjoyed seeing so many of you at our Annual Alumni Boxing Day event on December 26th. We had over 100 people in attendance! I would encourage all of you to mark your calendars for next year as this is an annual event, and we would love for you to be a part of it if you are in Nairobi. The second semester at Rosslyn is in full swing. Our students completed their HS CFS visits, they are in the middle of second season sports, preparations are underway for the spring musical, Model United Nations took place last week and our students performed phenomenally, our junior and senior girls and guys recently returned from the yearly integrity retreats and our seniors are beginning to process their big transition, that is now only a few months away. It is an exciting and very busy time here at Rosslyn. Below I will share about a few exciting things coming up and remind you of a few ways that you, as a Rosslyn Alum, can stay connected. We wish you all the best, wherever you are in the world! 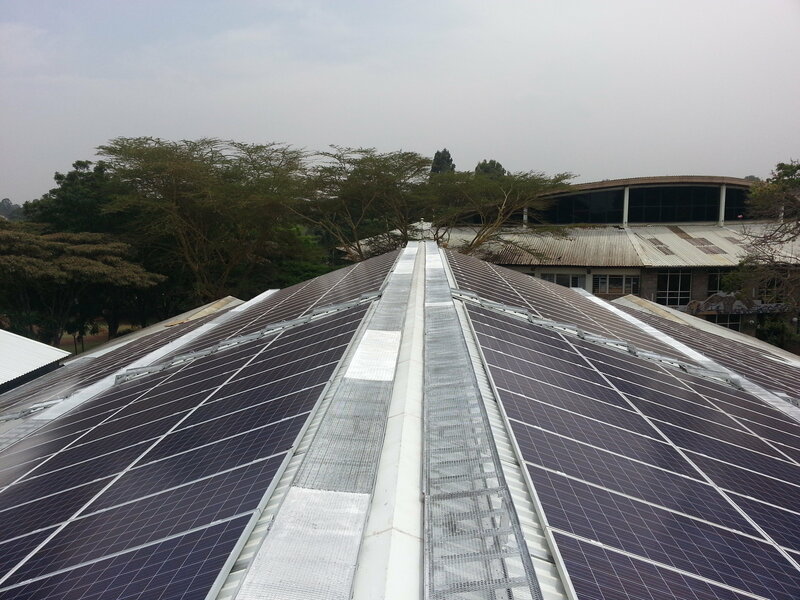 We are extremely excited to announce that the Solar Project component of our Going Green Initiative – a project that many of you supported financially – has been installed and is producing power! 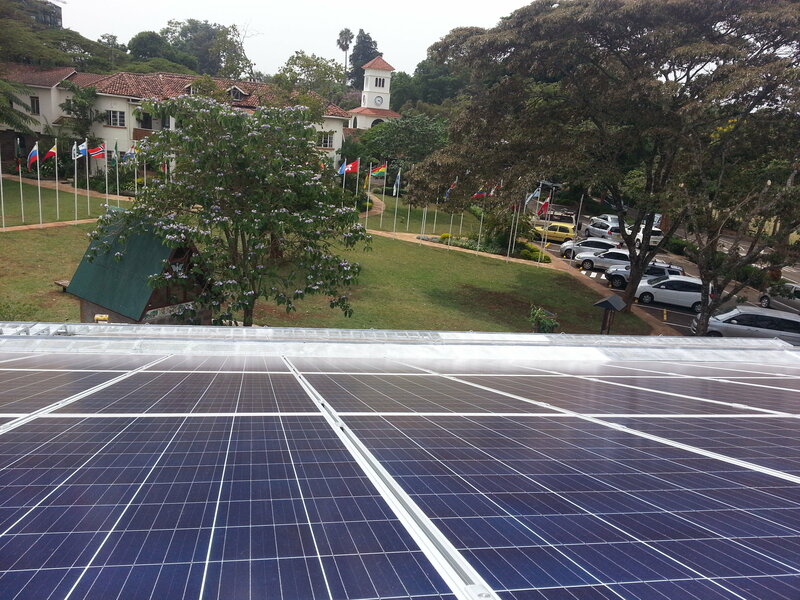 On Wednesday of last week, during the school’s peak period of electricity consumption (10AM to 3PM), the school was entirely powered by solar energy. Thank you for your support of this important initiative – an initiative that represents not only financial and environmental stewardship, but one that we expect (in the months ahead) to be integrated into student learning in the form of practical labs in physics, environmental science, and a number of other classes. This spring our extremely talented Fine Arts Department will be performing the musical “Annie” for the annual spring musical. Every year our students do an amazing job and their performances are truly a reflection of the talented student body we have at Rosslyn. If you live in the Nairobi area please make plans to attend! We have a new networking opportunity available for our Rosslyn Alumni. We have created a new closed group on Facebook that is only open to former Rosslyn Academy students. We hope that this will be a great forum to share about the exciting things happening on campus and for alumni to network with one another. If you have a job or internship opportunity in your company or if you are looking for fellow alumni in your area, this is a great place to post this information. To join this group simply click on this link and request to join: https://www.facebook.com/groups/rosslynalumniassociation/. We will closely monitor those that are accepted into this group, so that we create a safe space for our alumni. Please feel free to pass this information on to your fellow classmates who we may not be in touch with. We would love a submission from you to include in our next newsletter. Please let us know what you have been up to since leaving Rosslyn. You can e-mail this to jessicad@rosslynacademy.com. We recently received the following update from Katrina and wanted to share it with you. Below is an excerpt from an e-mail she shared with us, that we are sharing with her permission, detailing the amazing work she is involved in. I graduated with my bachelor of Science in Math and Physics from Houghton College (which I cannot recommend highly enough). I took a gap year to work at Los Alamos National Laboratory (LANL) and then went to grad school at Western Michigan University(WMU). I was studying nuclear astrophysics under Michael Famiano. A year later, he left WMU to work in the health sector…I finished up my masters degree and headed back to LANL to work in nuclear nonproliferation research (nutshell: keep bad guys from getting nuclear weapons by making material hard to steal). My research for the first year was almost entirely neutron multiplicity algorithm development and implementation in code. I also did a lot of modeling and simulation work. The main idea behind neutron multiplicity analysis is that neutrons from fissile material come in multiplets. If you play some statistical games you can figure out from your time-stamped neutron detections, which correlations are “real” and which are “accidental.” From that, you can figure out how much fissile mass you have, which is important in the safeguards world. The fun part is that detectors aren’t ideal. That means they can double pulse (how do you identify and correct for that?) and the dead time on correlated events is not easily corrected (if events are correlated, they’re also MORE likely to be killed by dead time). It was fun! The next year, I started getting on a lot more projects. That was a mistake. I learned the value of “no”! But I did learn a lot through the projects. For these projects, I was working with a scientist whose genius is applying established detectors and methods to safeguards questions. In January of this year, I started up again with my grad program because Mike returned to WMU… I took my comprehensive exams in June and passed (phew!). Now, I’m gearing up for my proposal in January 2017. My thesis is a feasibility study on measuring the neutrino mass using microcalorimeters to measure the electron capture spectrum in Ho-163. Microcalorimeters are a family of low temperature detectors that measure the temperature increase caused by the thermalization of an incident particle’s kinetic energy. The end point of the spectrum (near the Q value) is the part of the spectrum from which we can determine the neutrino mass. That’s a whole bunch of technical detail. I hope I don’t bore you too much! I like to talk about my work to a general audience, but it’s hard without being able to draw pictures! Other than school/work, I’m really enjoying Los Alamos. I have a fantastic church here. It’s become my family away from home. I volunteer a lot at church and do the occasional community theater play. I’ve taken up hiking and snow-shoeing to keep from atrophying, and I’ve discovered a passion for cooking, although my chapatis are still pathetic. Hannah recently published a book entitled, Good News about Gender: A Bible Study for Young Adults. This book is available for purchase on Amazon. Mark is an Assistant Professor of Philosophy at Forman Christian College and recently edited a book entitled, Science Fiction and The Abolition of Man: Finding C. S. Lewis in Sci-Fi Film and Television. The book is available for purchase on Amazon.